On many occasions, it might happen so that you are on the lookout for good dentists in Santacruz or your locality in Mumbai suburbs. You may be looking for dental clinics equipped with the latest equipment, or maybe your regular dentist has retired, or you might have re-located… Chances are, you are already aware of how important it is to choose a dental facility that has years of experience and a good reputation too. And though you may have some good references, it’s nowadays an expected routine to search online and locate a good dentist based on website and reviews. Except of-course, of you are in the know of things about dental treatments and have your own points to consider when deciding upon good dentists. Point 1 – More than location, having a Good Dentist is important! Are you looking for good dentists near your residence or one near your work place? Now this would depend on the kind of dental treatment you need. Does it need you to pay multiple visits to the dental clinic? So you might identify a dentist near your office that might give you more flexibility. But having a Good Dentist to take care of your molars is always less painful. Special Offer for in-transit passengers. Get a Quick 1 hour dental treatment that can brighten your smile. So be it a marriage, business meet or any social do, just drop in at Om Dental Clinic near Mumbai Airport. Pick and drop services available, if required. Point 2 – Timing Is Critical – Emergency Services? Would you like a dental clinic near your residence because they accept early morning, late evening and weekend appointments? Om Dental Clinic Khar (W) offers 24hours Dental Emergency services. So in case you require a good dentist in Santacruz of Mumbai suburbs, call Emergency No. : 9920984915. For the multitasking and incredibly busy suburbanite, this has become one of the most popular services amongst our clients. Treatments offered are cosmetic fillings, oral prophylaxsis and ONE Hour teeth whitening. 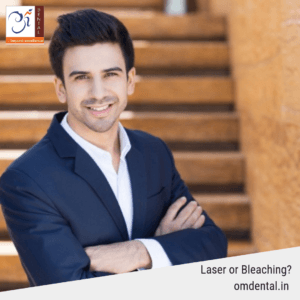 So if you are looking for trained dentists in Santacruz or Mumbai suburbs to root out your dental worries, feel free to contact Om Dental Clinic near Santacruz for a detailed consultation.